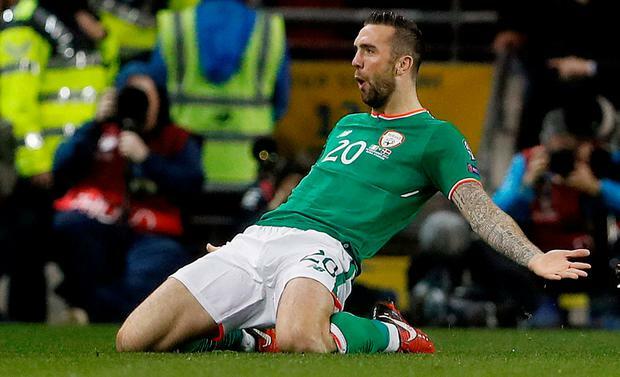 Brighton defender Shane Duffy has been named as Ireland's Senior Players of the Year at the FAI awards after a stellar year for club and country. Duffy emerged as a key figure in Martin O'Neill's set-up in 2017, with his performances in the World Cup qualifiers cementing his status as one of the first name on the Ireland team-sheet. The prestigious award caps a stunning ride to prominence for Duffy and his club manager Chris Hughton has told Independent.ie that he is a credit to his profession. "Shane has been fantastic for Brighton and Ireland and deserves all the credit coming his way," Hughton told us. "You look at the defenders signed by Premier League clubs in the last year and we believe there is no better out there than Shane and that is a great tribute to him. "He is dedicated, a great professional around the club and a credit to club and country. Hopefully what he has achieved in the last few months is a pointer for what is to come for Shane. He is a credit to the game." James McClean picked up the award for goal of the year at the FAI awards for his memorable winning goal against Wales in the final round of World Cup qualifiers in October, while Cyrus Christie was awarded the Young Player of the Year award. Harriet Scott claimed was named as Ireland's Senior Women's Player of the Year, with Damien Duff and Jimmy Magee also acclaimed at the annual FAI event.